Amber Guyger and her defense team made a brief court appearance Tuesday for a procedural hearing as the case heads toward a trial. 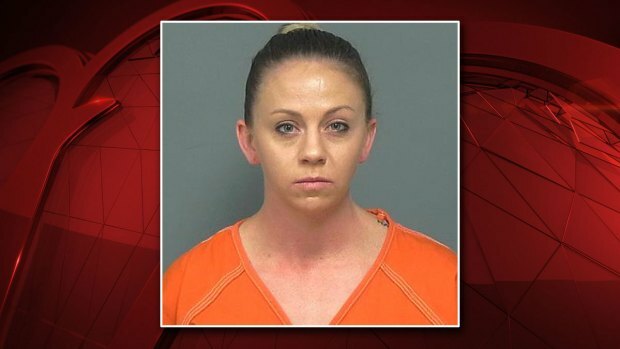 Guyger is the fired Dallas Police officer who shot and killed her neighbor, Botham Jean, in his own home back in September. Guyger claims she mistook Jean's apartment in her complex for her own and thought he was an intruder. Earlier this month, the judge presiding over her case issued a gag order, meaning Guyger, her attorneys, and prosecutors are not allowed to talk about the case publicly. Other criminal defense attorneys not involved in the case spoke with NBC5 about preparations for such a trial, including Daryl Washington. He represents the victim's parents who live overseas. He has been attending every court proceeding on their behalf. "They feel more comfortable knowing someone they can trust is here to give them the information," Washington said. "We still feel comfortable in the process and we feel that you can get jurors who will be fair and listen to all the evidence." A change in venue to move the trial to a place where there's been less publicity is an option Guyger's lawyers could request. Former Chief Assistant Dallas County District Attorney Heath Harris, who supervised public integrity cases, said defense lawyers are watching all the pre-trial attention. "Every time this case has been set, the media has been here. That’s what they’re going to be saying. 'We don’t want this case tried in the media, we want her to have a fair trial,'" Harris said. Clark Birdsall worked in the Dallas County District Attorney's Public Integrity Unit, handling other cases against police in the past. "The burden is on the defense to prove they can not get a fair trial here based upon the pretrial publicity. That’s a heavy burden for any defense attorney," Birdsall said. "I don’t know if there’s anywhere in the land that hasn’t heard this situation. It’s so odd. It’s so different." Tuesday's announcement hearing was an opportunity for Guyger's defense team and prosecutors to meet in private with the judge to discuss matters related to the case. Guyger was required to be in the courthouse but she did not appear in open court. She and her lawyers were there for less than an hour. Records reviewed by NBC5 Tuesday showed no new entries in the case after Tuesday's hearing. "You can’t have a trial by ambush so I think people are going to cooperate with each other. There’s going to be an exchange of discovery," Washington said. Although Guyger was initially arrested on manslaughter charges, a Dallas County grand jury indicted her for murder in connection with Jean's death. The lawyers said each side of the case will view the evidence differently. "If I’m the defense attorney, I’m going to argue that she thought she was in her own apartment, which cloaks her with some defenses," Birdsall said. "The question becomes, is that reasonable given the totality of all the circumstances? That’s going to be the question for the jury," Harris said. No trial date has been set, though it's expected to take place later this year. Washington said Jean's parents will be in the courtroom for the entire trial. "What they would want most is the have Botham back. What they’re doing now is just trusting in the process," Washington said.